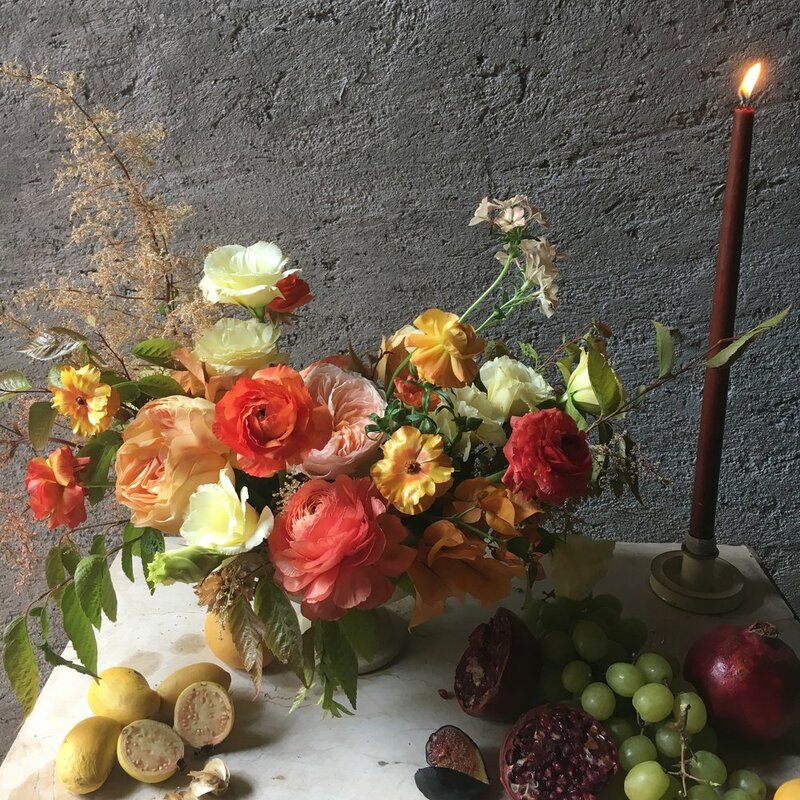 La Musa de las Flores Mexico Workshop — Organic Flower Farm & Florist providing wedding flowers to Durham, Chapel Hill & Raleigh. In the years following college, my primary passion was on traveling- particularly travel in Latin America. I studied International Relations in Graduate school with a focus on Latin American politics and had the privilege of traveling through Southern Mexico, Central America and parts of South America and Cuba. US history and political intervention (both direct and covert) with this region is complicated, dark and ongoing. Once I returned to farming, my ability to travel basically dried up due to the demands of the season and lack of funds and later from starting a business and not having staff that would allow me to take a vacation, much less leave the country. After 10 long years, I was finally able to travel again down to Mexico this past winter. 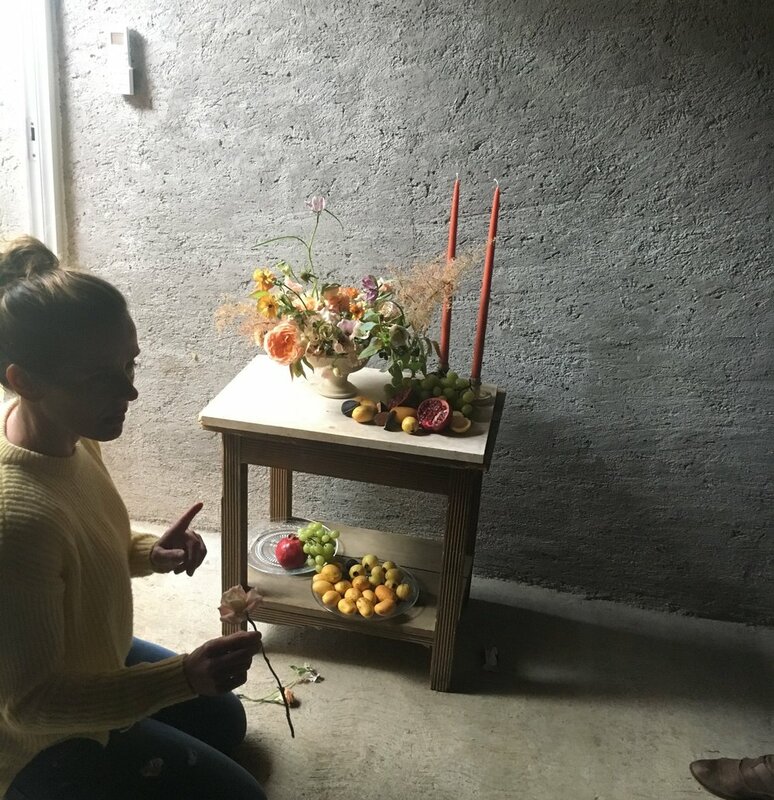 I coupled attending a floral design workshop with Gabriela Salazar of La Musa de las Flores in Villa de Bravo with some time in Mexico City. I had been anxious to travel to Mexico City for years and honestly I can’t wait to go back. There is just too many amazing things to see, do and eat. Gabriela giving styling and photography tips. 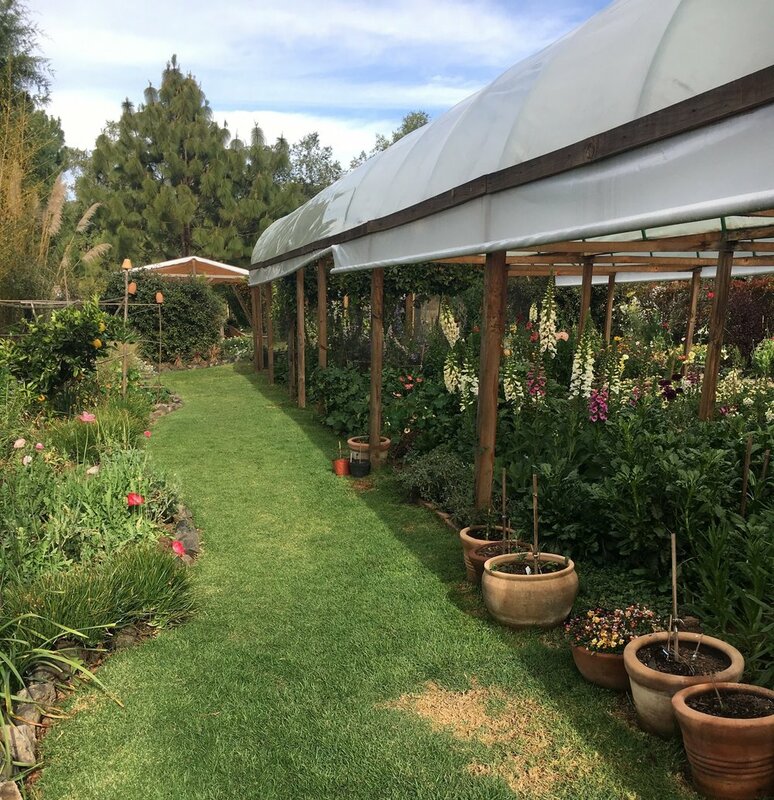 The gardens in Valle de Bravo. The workshop with Gabriela was fantastic. She is a true artist while also being very grounded and practical with the realities of running a floral design business. She has an unbelievable instinct with color and movement that is so inspiring to witness. 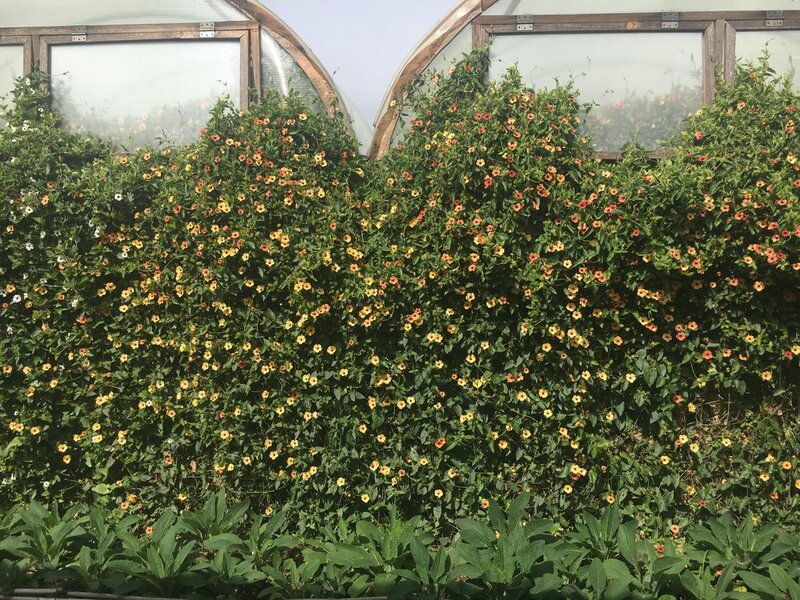 It was so special to spend time at her home and in her garden that week. Something that I will never forget. My wedding bouquet design from the workshop. My compote design from the workshop. Gabriella Salazar and myself. Why are my eyes always closed?!? 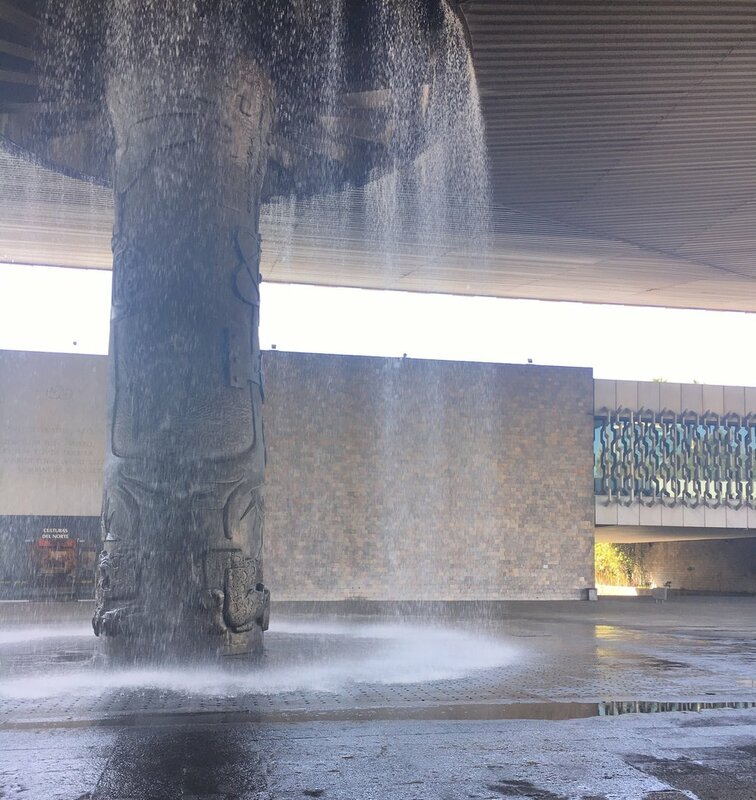 Museum of Anthropology in Mexico City. Frida Kahlo’s house and museum in Mexico City. Diego Rivera mural at the National Palace in Mexico City.